Food Artisan $10 a day. Natural Homemade Products $10 a day. On-site Food Booths $20 a day. Arts & Crafts $20 a day. Resell $30 a day. Resell products must be produced in Utah or a health and wellness product. 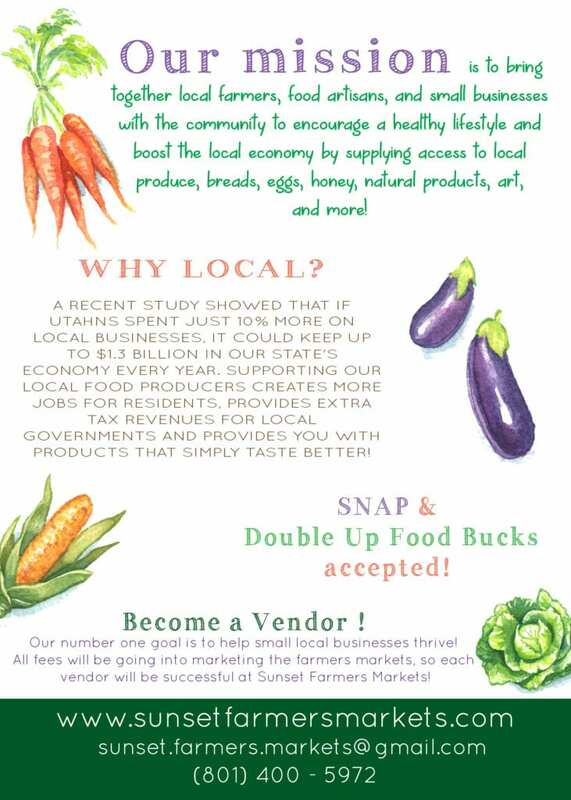 Resell products are strictly regulated by Sunset Farmers Markets. We will not accept resale jewelry, clothes etc. Looking for an outgoing VOLUNTEER MARKET ASSISTANT! You will receive a FREE BOOTH for the ENTIRE SEASON! Responsibilities will include: helping set up at 3 p.m., admin on social media to help answer questions, comfortable going live on social media, & running the Farmers Market one day in September when we will be out of town. Email me if you are interested! 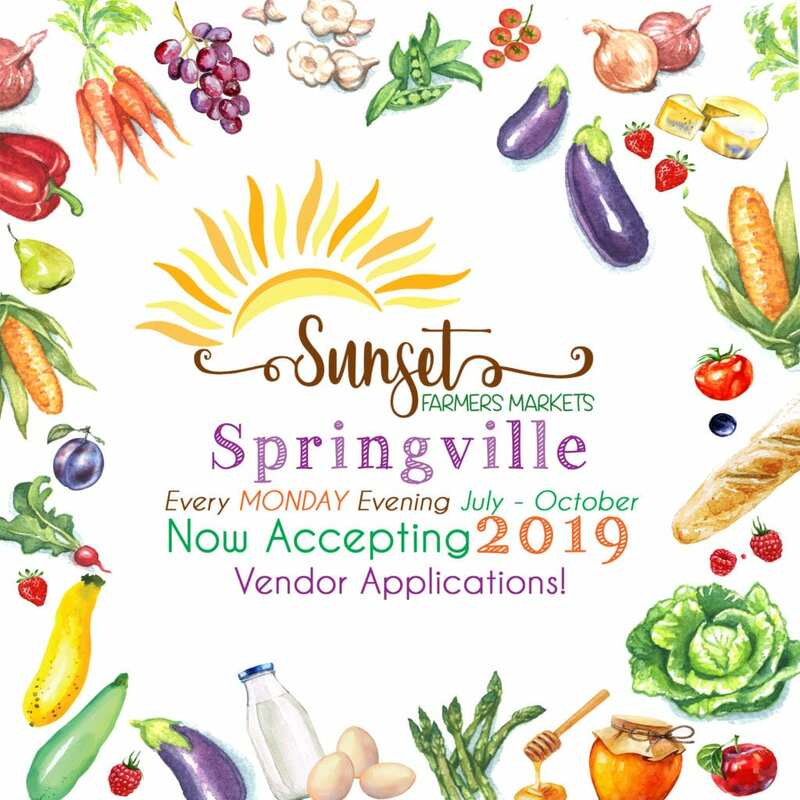 Contact Sunset Farmers Markets at sunset.farmers.markets@gmail.com with any questions.